If the roof on your commercial property is starting to show its age and isn’t performing as well as it used to, let the experts at Daech & Bauer Roofing provide a solution. We’re an experienced commercial roofing company that has successfully completed more than 10,000 projects in the Troy, Illinois area, and we can return your roof to optimal condition at a price that fits your budget. 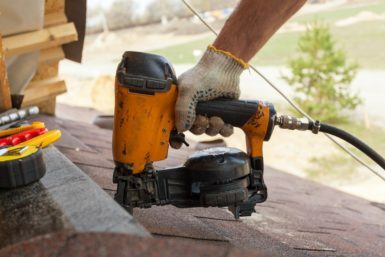 We take craftsmanship and customer service seriously at Daech & Bauer, and that focus has helped us earn numerous accolades, including being named a Top 100 Roofing Contractor in the U.S. by Roofing Contractor magazine. We’re so confident in the level of the work we provide that we offer a five-year warranty on workmanship – in addition to manufacturer product warranties – so our customers can rest easily knowing their investment is protected. We also know that our customers expect the best, which is why we only offer top products from some of the most trusted names in the industry, including Owens Corning™, CertainTeed, Gerard USA, and more. The various types of commercial roofing products we install and repair for our customers include TPO, EPDM, metal, modified bitumen, and much more. Contact Daech & Bauer Roofing today to see for yourself why we are a leader among the commercial roofing contractors in the Troy, IL area. Be sure to ask about the financing plans that are available to those who qualify.